Bayerische Motoren Werke AG ( [ˈbaɪ̯ʁɪʃə mɔˈtʰɔʁn̩ ˈvɛɐ̯kə]; German for Bavarian Motor Works), usually known under its abbreviation BMW ( [ˈbeːˈʔɛmˈveː]), is a German luxury vehicle, motorcycle, and engine manufacturing company founded in 1916. It is one of the best-selling luxury automakers in the world. The company is a component of the Euro Stoxx 50 stock market index. Headquartered in Munich, Bavaria, BMW owns Mini cars and is the parent company of Rolls-Royce Motor Cars. 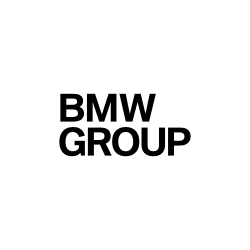 BMW produces motorcars under the BMW Motorsport division and motorcycles under BMW Motorrad, and plug-in electric cars under the BMW i sub-brand and the "iPerformance" model designation within the regular BMW lineup. The BMW X3 (E83) was made by Magna Steyr, a subsidiary of Magna of Canada, in Graz, Austria under license from BMW until 2010. More than 45,973 were produced in 2009. Starting October 2010, the new BMW X3 (F25) is produced at BMW US Manufacturing Company, Greer, South Carolina. Since 2008, motorcycle productions and sales figures include Husqvarna models. Excluding Husqvarna, sales volume up to 2013: 59,776 units. BMW began production of motorcycle engines and then motorcycles after World War I. Its motorcycle brand is now known as BMW Motorrad. Their first successful motorcycle after the failed Helios and Flink, was the "R32" in 1923. This had a "boxer" twin engine, in which a cylinder projects into the air-flow from each side of the machine. Apart from their single-cylinder models (basically to the same pattern), all their motorcycles used this distinctive layout until the early 1980s. Many BMW's are still produced in this layout, which is designated the R Series. As of November 2016, four BMW electrified models have been released, the BMW X5 xDrive40e iPerformance, BMW 225xe iPerformance Active Tourer, BMW 330e iPerformance, and the BMW 740e iPerformance. The BMW 530e iPerformance is scheduled to be released in Europe March 2017 as part of the upcoming seventh generation BMW 5 Series lineup. In November 2016, BMW announced the company expected to deliver 60,000 of its electrified i and iPerformance models in 2016, and a sales target of 100,000 units for 2017. BMW set the goal to expand the share of its electrified models to between 15% and 25% of sales by 2025, when batteries have doubled their capacity. In July 2014, BMW announced it was establishing a plant in Mexico, in the city and state of San Luis Potosi involving an investment of $1 billion. Taking advantage of lower wages in the country, and the terms of free trade agreements Mexico has with a host of other countries, were the motivating factors the company said. The plant will employ 1,500 people, and produce 150,000 cars annually, commencing in 2019. As of 2015, the Greer facility produces all BMW X3, X4, X5, X5 M, X6 and X6 M models.